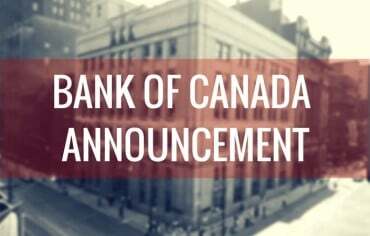 Just two days shy of the anniversary of the most recent change to the key interest rate, the Bank of Canada (BoC) announced it will not use its most powerful policy tool today. The target for the overnight rate—also known as the overnight, or key lending rate—will remain at 0.50% for at least the next eight weeks. “Despite recent volatility, the Bank expects the underlying trend of export growth to continue, leading to a pick-up in business investment,” the BoC said in a press release. “Higher global oil prices are helping to stabilize Canada’s energy sector and household spending is expected to increase moderately,” the Bank added. Much has happened since July 15, 2015, when BoC governor Stephen Poloz announced the rate would be cut for the second time that year. At the time, Canadians were still learning what the oil crash meant, grappling with whether the economy was in a bonafide recession (eventual verdict: maybe, we think? ), and wondering whether it was worth fanning the flames of the housing markets in Toronto and Vancouver to aid the rest of the economy at large. Since then, we’ve watched the price of oil continue to slide, managed to resist a major spike in the unemployment rate, and borrowed to the point where consumer debt levels are at all-time highs. Outside our borders we witnessed the Chinese stock market crash, watched the U.S. Federal Reserve raise its key interest rate for the first time in 10 years, and saw the United Kingdom vote to leave the European Union. It’s been an uncertain 364 days to say the least. Throughout these tumultuous 12 months, Canada’s economy has held fairly steady, thanks in part to the two BoC rate cuts in 2015. The first cut in January 2015 was described as “life-saving surgery,” by Poloz, and perhaps correctly so. That early reaction to the oil price shock, combined with the follow-up rate cut last July, may have helped cushion the blow to our resource-dependent economy. Today, the BoC used its regularly scheduled interest rate announcement to reassure us that the recovery is continuing as expected, but reiterated that we shouldn’t get too excited. For most Canadians, today’s announcement means no changes. 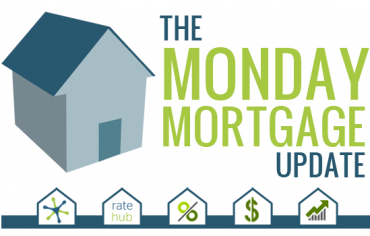 The banks typically only change the prime rate as a reaction to adjustments by the BoC, so variable-rate mortgages and other loans (like lines of credit) that are tied to the prime rate won’t be affected. And one analyst predicts rates aren’t likely go up until 2019 so there’s not a big chance you’ll find yourself paying higher interest rates in the near future. One thing to keep an eye on however is revolving lines of credit that are tied to prime rate. This is especially true for low-interest credit cards where the rate is tied to prime. Providers have been known to increase the margin over the prime rate when interest rates are low. Even though the prime rate will stay the same, your credit card company could still change your rate from, say, prime + 2% to prime + 5% just by giving you 30 days’ notice. So it never hurts to compare rates every once in a while to make sure you’re still getting the best deal. 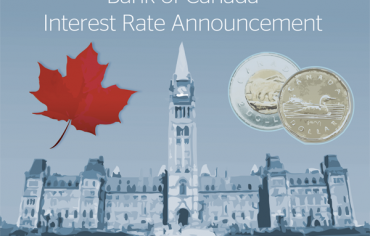 The Bank of Canada makes interest rate announcements on a regular schedule. Its next opportunity to raise or lower the key interest rate will arrive with the new school year on Sept. 7.